Lightseekers is the next generation action adventure RPG that connects smart action figures, trading cards and more! 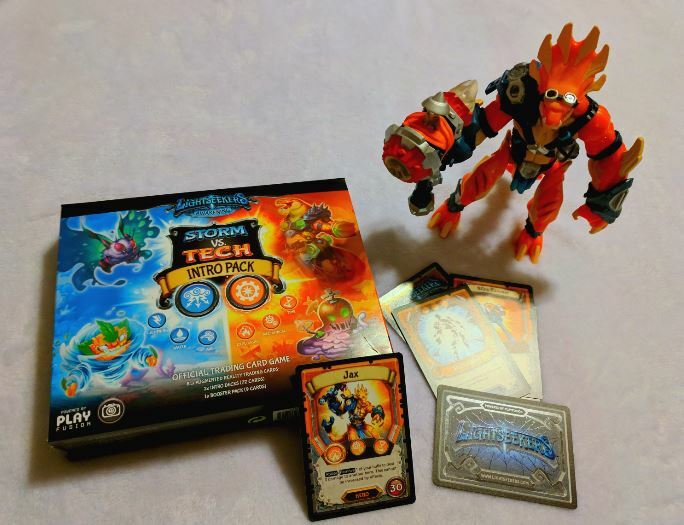 If your child loves gaming, take it to the next level with Lightseekers. Welcome to Tantos! A fantastical world full of magic and mystery. After centuries of peace, the balance of power is now being threatened by the return of the Evil Umbreon, whose presence foreshadows even greater danger! Wielding an arsenal of Explosive, Mechanical and Time abilities, the Tyrax use their wits, gadgets and gizmos to overcome any challenge! The Tyrax action is seven inches tall and poseable. 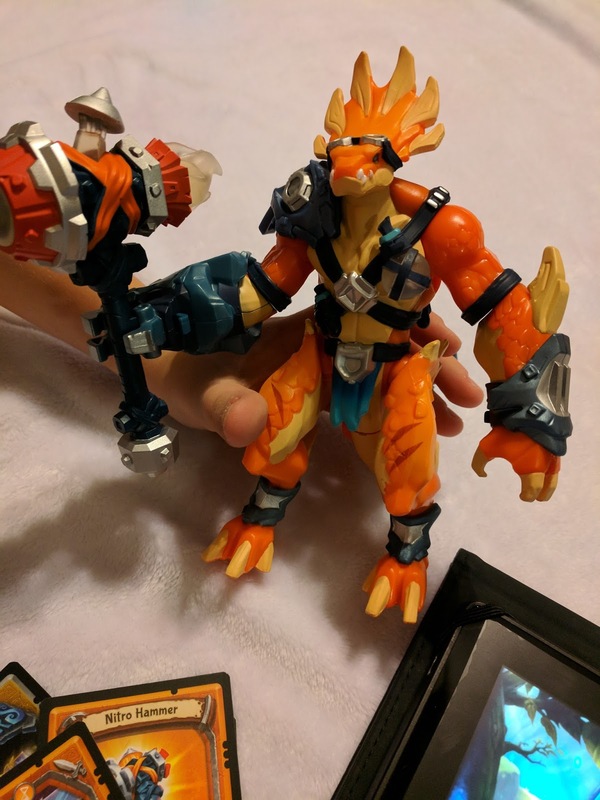 He comes with a FusionCore that allows you to bring your hero into the Lightseekers video game. 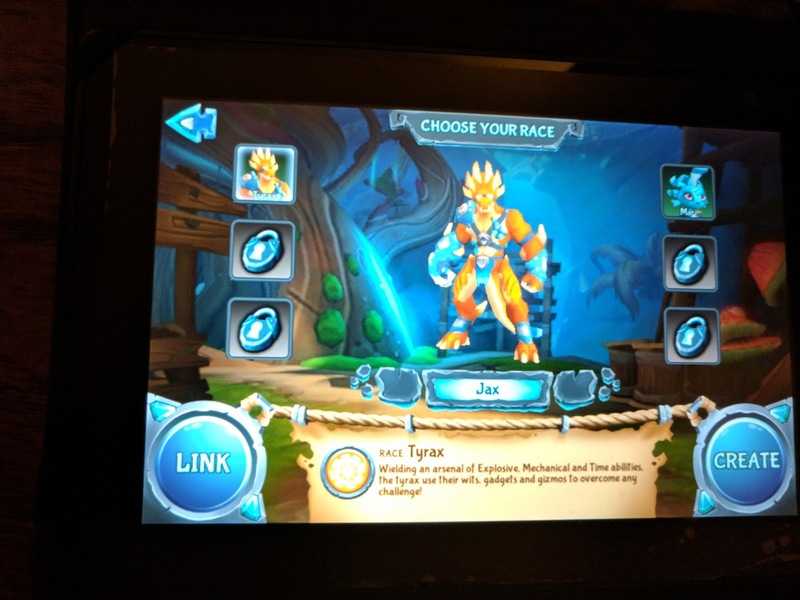 All you have to do is enable your bluetooth on your device, launch the game and insert your FusionCore into your hero and your hero will appear in the game. Place a weapon in your hero's hand and watch it light up in the game. It is a totally new and fun way to play the game. 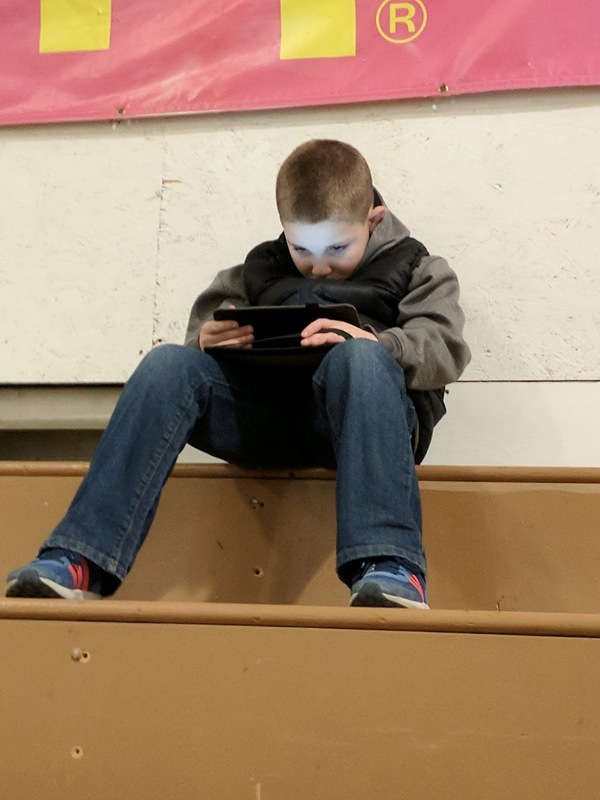 Even without the characters, the app is a free download that will get kids hooked and wanting more. 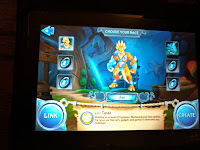 My son is in love with the game and super excited to unlock new video game content with the starter park. There's an entire card game that interacts with the app as well which is separate from the figures. You scan the cards into the app and each one will produces fun effects through the lens. Each card delivers augmented reality effects, rewards, and in-game abilities. Scan included Tribute Card and share to increase its power. Explore beautiful and fantastic lands, meet colorful characters, battle feared beasts and quest to uncover the world’s mysterious past. locations to defeat their opponents. Choose from 6 starter decks, each aligned with a different order and with its own distinct play style. Each contains a full deck of cards, playmat, health counter and 9 –card booster pack. includes 1 Hero, 1 Rare, 2 Uncommon, and 5 Common cards that are sure to take your trading game to the next level. These Booster Packs are perfect for the stockings this year!